The Best Child Abuse Blogs from thousands of Child Abuse blogs on the web using search and social metrics. Subscribe to these websites because they are actively working to educate, inspire, and empower their readers with frequent updates and high-quality information. Child Abuse newsletter is a comprehensive summary of the day's most important blog posts and news articles from the best Child Abuse websites on the web, and delivered to your email inbox each morning. To subscribe, simply provide us with your email address. About Blog Our mission is to transform society’s response to sexual assault, domestic violence, and child abuse, support survivors’ healing, and end this violence forever. Facebook fans 141,761. Twitter followers 62,733. Harlem, New York About Blog The STOP ABUSE CAMPAIGN is missioned to stop abuse and alleviate the suffering of those involved. We will stop abuse before it starts by breaking the cycle of abuse. We'll do this by igniting conversations that lead to understanding. Facebook fans 12,430. Twitter followers 20,949. India About Blog Child Rights and You is a top non profit and non government organization in India working towards the upliftment of underprivileged children across supported child welfare projects and engaged in restoring the children’s basic rights. Facebook fans 377,583. Twitter followers 284,869. About Blog There is a lot you should be aware of, from the long-term effects of child abuse to the signs a child might be in danger; we discuss it all on our blog. Empowering parents, communities, and people to help the effort to eliminate child abuse through education, awareness, volunteering, and taking action. Facebook fans 46,820. Twitter followers 3,418. Yorkshire and beyond, UK About Blog Solicitors providing personal & business law services across Yorkshire. With offices in the North, West & South of the county we're well placed to help you with your legal concerns like child abuse,etc. Facebook fans 680. Twitter followers 2,458. Facebook fans 3,913. Twitter followers 6,503. Anaheim, CA About Blog The Child Abuse Prevention Center directly serves at-risk children and families in crisis to prevent and break the generational cycle of child abuse. Facebook fans 5,292. Twitter followers 2,082. Facebook fans 1,109. Twitter followers 27,768. Lapeer, Michigan About Blog The mission of the Child Advocacy Center of Lapeer County is to reduce the trauma to children during the investigation and intervention of alleged sexual or severe physical abuse through advocacy, education, intervention, and treatment. London, England About Blog Researching Reform is a project dedicated to child welfare in the family justice system and was started in 2008. We are dedicated to the welfare of the child and this central theme runs through every project we work on. Facebook fans 134. Twitter followers 5,379. Washington, DC About Blog Empowering local communities to serve child victims of abuse. Facebook fans 10,514. Twitter followers 1,217. Halifax, Nova Scotia | Canada About Blog Halifax Personal Injury Lawyer John McKiggan provides peace of mind to victims of catastrophic personal injuries and child abuse. Facebook fans 49. Twitter followers 309. 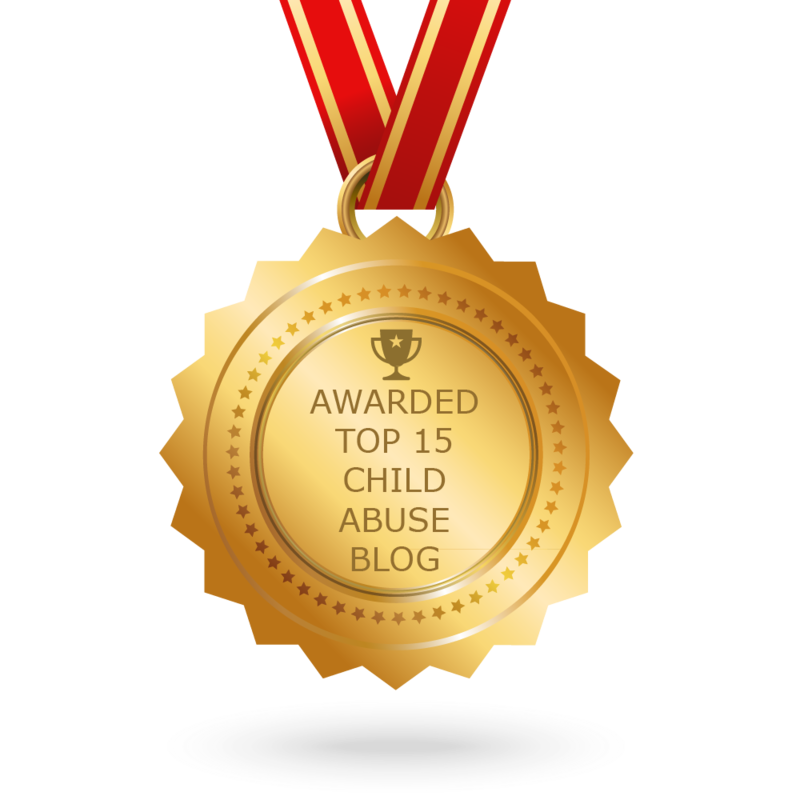 CONGRATULATIONS to every blogger that has made this Top Child Abuse Blogs list! This is the most comprehensive list of best Child Abuse blogs on the internet and I’m honoured to have you as part of this! I personally give you a high-five and want to thank you for your contribution to this world.